Great tool for deep point cutting. Experience the natural cutting position that the rotating thumb creates. 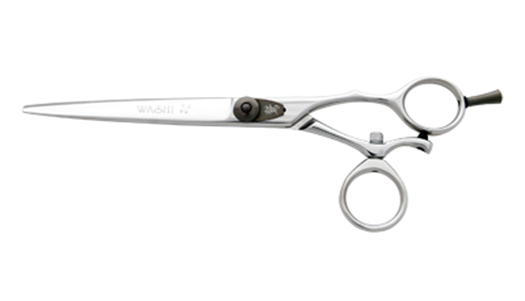 The Silver Crown swivel shear features convex edges for precision cuts. Great tool for deep point cutting. Experience the natural cutting position that the rotating thumb creates. This will relieve thumb and wrist fatigue. Great for carpel tunnel problems. The lowering of the elbow and shoulder position allows for a relaxed wrist position. Also available in Double Swivel!